Did you know ‘Pinners’ aren’t merely window shoppers? The fact is they actually buy items based on the pins they see and a number of social surveys show that Pinterest users not only buy more, they also spend more and that’s exactly why your Pinterest presence should be taken seriously. Pinterest is a social media platform that relies greatly upon visuals (also known as ‘Pins’) to connect with your customer profile. This largely visual format can play a respected role in a social media marketing strategy and it’s an especially important network for brands with a tangible product, i.e. clothing, food or furniture shops. It can also be highly effective in terms of improving brand recognition, and like many of the social platforms; you have the opportunity to create a business page. This gives you the starting point for creating your own boards made up of Pins for prospective customers to find, share and engage with, but a strategy is required for success, and Social Moves can create the ultimate blueprint for your business. We’ve included a guide below to give you more information on how Pinterest works and how we can help you create sharable content on this platform, whilst the video below will give you an insight into the advantages of our social media marketing packages, which Pinterest can very much be a part of. Quick fact: A call-to-action pin description sees an 80% increase in engagement. PINNING YOUR WAY TO SUCCESS. Here at Social Moves, we know how to make Pins for specific purposes. As an example you may wish to send more of the right people to the blog section on your website. To get more people reading your articles we can produce high quality visuals with text overlayed to get people clicking ‘visit’ and heading straight over to your blog. 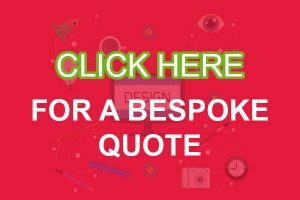 Our design team is regularly working on producing stunning Pins for our clients as part of their bespoke monthly plan, and it’s important to know that success on Pinterest really is impossible without the visual aspect, whilst the written content takes the Pin one step further to motivate a desired user action. This could be visiting your website, attracting more followers or sending people to your other social media networks. Every business is different, so too are their requirements and we can help you populate your Pinterest boards with stunning visuals that people like, share and remember. We’ll also be sure to brand your Pins accordingly, so this may involve adding your logo or brand typography to the visual so your audience instantly identifies your Pins from other companies. This is usually added in a subtle way and it of course plays an important role in terms of increasing brand recognition. Pinterest is designed around sharing, and so people who find your Pins can ‘re-pin’ them to their own page, providing more organic reach, which can then be linked back to your profile. For many businesses, this platform really works a dream but of course this can depend on the type of business you operate. If you’d like to speak to us about how this works for you please feel free to send us a message or request a call back. So as we’ve discussed, success on Pinterest is determined by your ability to draw in the right audience with beautiful visual content, however the content description should not be ignored. We’re experienced in planning, producing and publishing high-quality written content, so whether you’d like to get more people talking about your products or aiming to become an authoritative leader in your industry, we can create a strategy can help you achieve your long term goals. 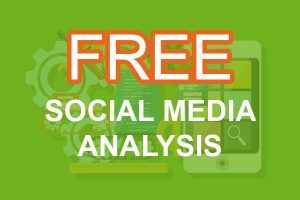 A big part of our job is running monthly social media packages for our clients and another important aspect of this is creating and publishing unique, interesting and appealing content. But not only will we create a monthly editorial calendar so you can see what we’re up to, we’ll provide a report at the end of the month to show you how our campaign is working. The PDF report is simply laid out and it takes you through the progress made on each of the social media platforms utilised in your package. With several pages looking specifically at Pinterest, we’ll be able to show you how many impressions each Pin made, how many people re-pinned your Pin, and how many clicks through to your website it made. Pinterest is without a doubt one of the finest platforms for expressing your creative side and a beautifully populated business account page can improve your online presence. It’s still seen as a relatively new social platform but it has grown considerably over the past few years and is becoming one of the go to options for small, medium and large businesses. Interested in learning more about the advantages of a Pinterest Management Package with Social Moves? 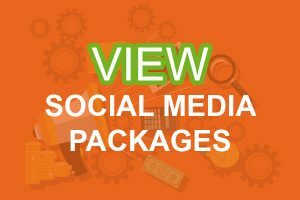 Please send us a message here, or alternatively feel free to check out our social media packages.